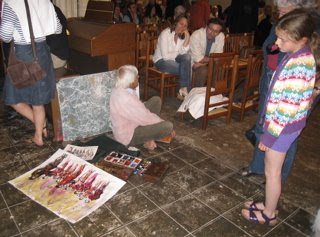 A man sat on the floor in front of us painting many pictures of us during the concert. It certainly beats flash cameras, but unfortunately he was unable to let us have one. They were destined for a gallery somewhere.